St. Augustine grass is native to the coastal area of the Gulf of Mexico region of Texas. It prefers well-drained, nutrient-rich soil and sub-tropical temperatures like those found in Texas. However, warm days, high humidity and cool nights so common during the spring and fall seasons in Texas encourage the growth of many varieties of fungus, to which St. Augustine is highly susceptible. 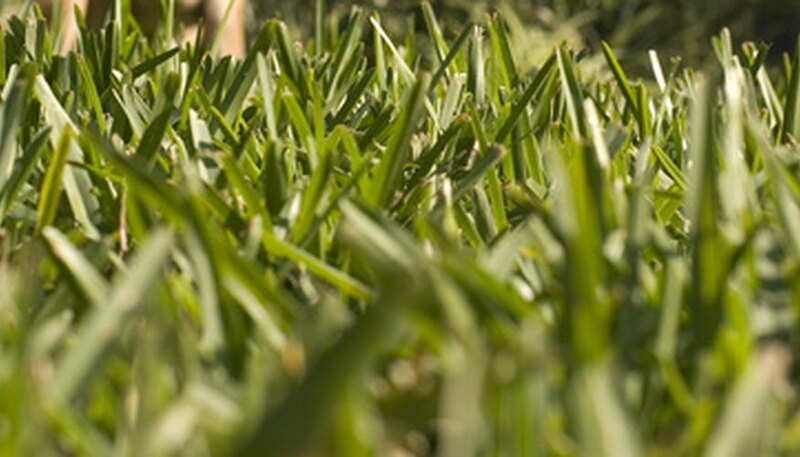 The Texas Cooperative extension lists brown patch, gray leaf spot, Helminthosporium, pythium, rust, and downy mildew as common fungal diseases of St. Augustine grass. Additionally, the Alabama Cooperative Extension Service notes that take-all patch (Gaeumannomyces graminis var. graminis) has also been reported on Texas St. Augustine lawns. While brown patch and gray leaf spot can cause severe damage, only take-all patch has been known to infect and destroy entire lawns. Brown patch develops from small rings to larger circles haloed by yellowing grass. Gray leaf spot and Helminthosporium show up as gray spots on the leaves surrounded by dark margins, and eventually areas of the lawn will look like they’re fading out. Pythium makes grass look wilted at first, then cottony spots develop on the leaves. The symptoms for rust and downy mildew show up exactly as the names imply: rusty spots or pale downy fuzz on the leaves. Take-all patch starts as yellow streaks in the lawn, followed by brown irregular splotches of dead grass. Avoid the temptation to water and fertilize frequently, especially during the spring and fall. Even during the summer, St. Augustine does not need to be watered more than once per week with an inch of water. If St. Augustine is planted directly on sand, it may need watering twice per week. Ensure that all areas of your lawn have proper drainage. Treat the lawn with preventive fungicides if rain has fallen more frequently than once or twice per week for a few weeks. Garden centers sell turf grass fungicides for many of these diseases. Follow all application directions for treatment. Generally speaking, only take-all patch, brown patch and gray leaf spot are serious enough to warrant fungicide application. If your lawn has signs of fungus, do not fertilize. Fertilizer will feed the fungus and help it spread. Do not water the lawn unless you are watering in a fungicide, and avoid watering more than once every two weeks without rain until all signs of the disease are gone. Chinch bug infestations look similar to the beginning signs of take-all patch, with streaks of the lawn turning yellow. Grubs will cause patches of grass to turn brown and die. To be certain that a fungus is your problem, take a sample of the affected area to your local nursery wrapped in a plastic bag. The sample should be at least 6 inches in diameter and include 2 inches of soil. Take the sample from a margin area of the damage, where the disease or pest is most active.